'The pair of natural emeralds weighing 35.36 and 35.20 ct (respectively), described in the above mentioned Gemstone Reports, possesses a saturated and homogenous colour, combined with an exceptional degree of transparency. In addition, the fine cut of these gemstones generates many brilliant internal colour reflections. 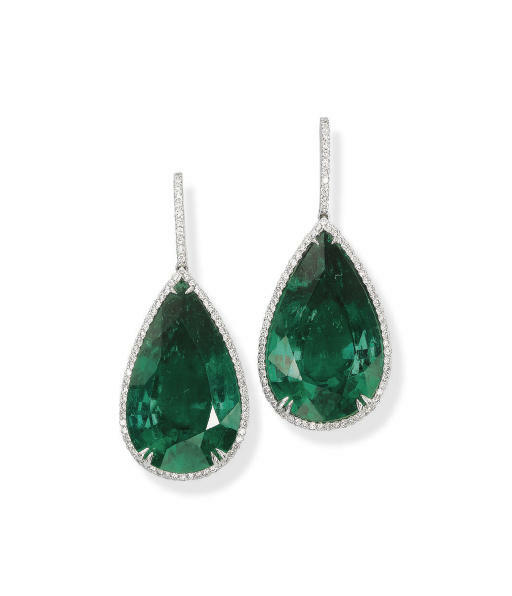 A perfectly matched pair of natural emeralds of this size possessing such a unique combination of special attributes is very rare'.